A criminal court judge married my husband and I. It was his first – and likely his only – wedding. 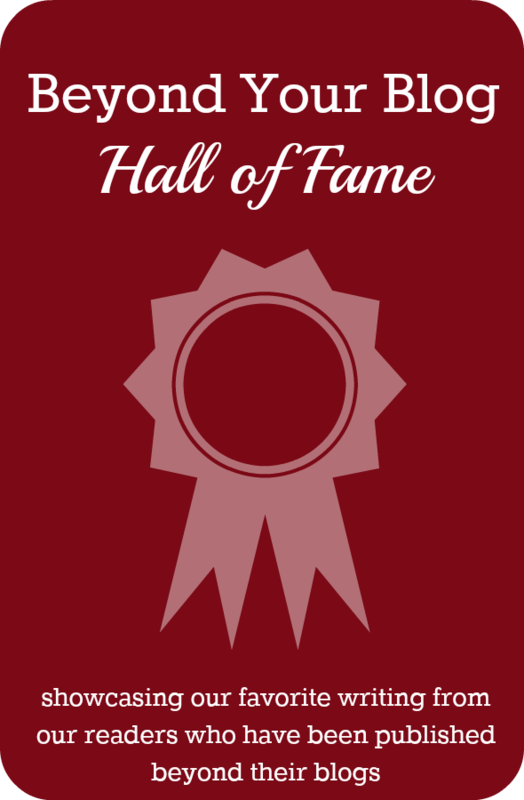 His chambers were large and dark with lots of wood paneling, big leather chairs and an endless array of sports paraphernalia including a number of bobble head baseball dolls. Geoff and I hadn’t planned on being wed this way. Although we did know we wanted a “civil ceremony” rather than a fancy event sprinkled with bells and whistles. 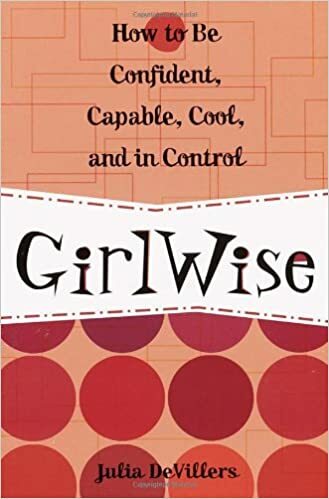 We often joked that the two of us shared a fear of microphones, flower girls, and tiny pieces of fruitcake wrapped up in tin foil. However, when we decided to get married, it just so happened that half of the city’s populace was keen to get hitched in city hall. We were faced with a decision; wait 10 months as names were crossed off a list, or, find another way. That’s where the criminal court judge (a family acquaintance) came in. A few weeks after we arrived home from a brief honeymoon in Algonquin Park, Geoff and I hosted a small garden party at our house, for close friends and relatives. The invitations I sent out were sad – at best – with the words “Guess What? They Did It!” emblazoned on the front. I designed them myself using an old version of Print Shop on a PC running an out-of-date version of Windows. 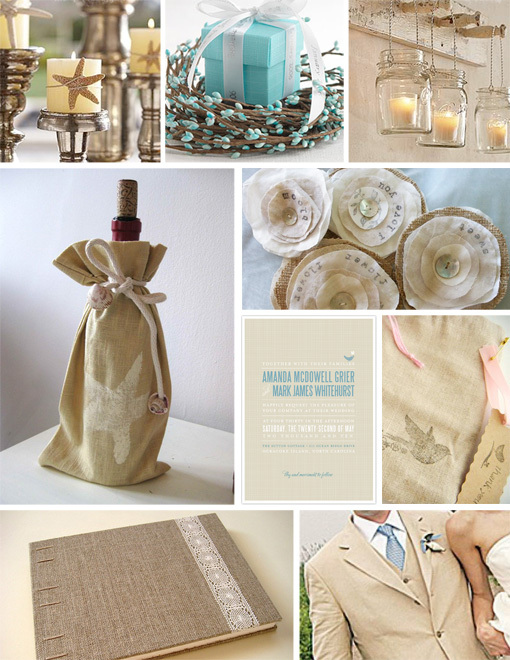 Boy do I ever wish Minted existed back when I got married. It would have made my post-wedding invitations look a lot less last minute and much (much) more refined. And pretty. I mean, just because I didn't want a big wedding didn't mean I didn't want to celebrate the date. 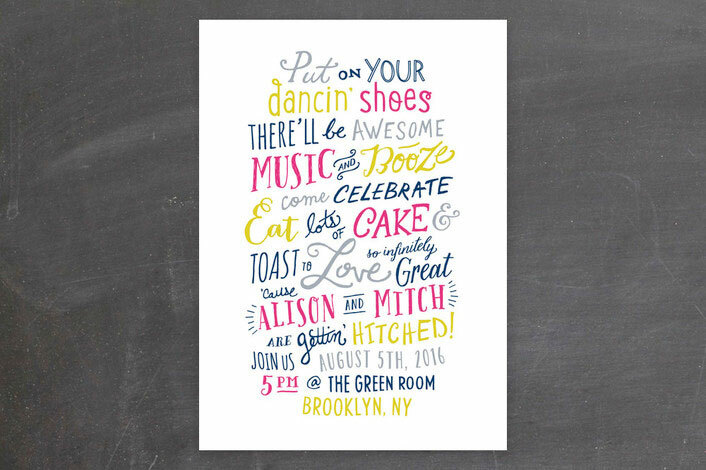 For those who don't know, Minted is an online company offering a gorgeous and select assortment of fully customizable wedding invitations, art for your walls and greeting cards, all sourced through a global community of indie designers. Indie designers! 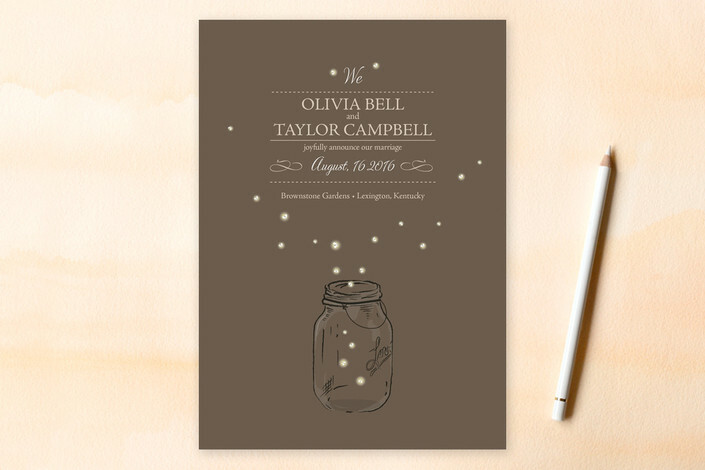 I love the soft colors and natural feel of this Rustic Charm invitation by Hooray Creative. It would have worked well for my post-wedding garden party. 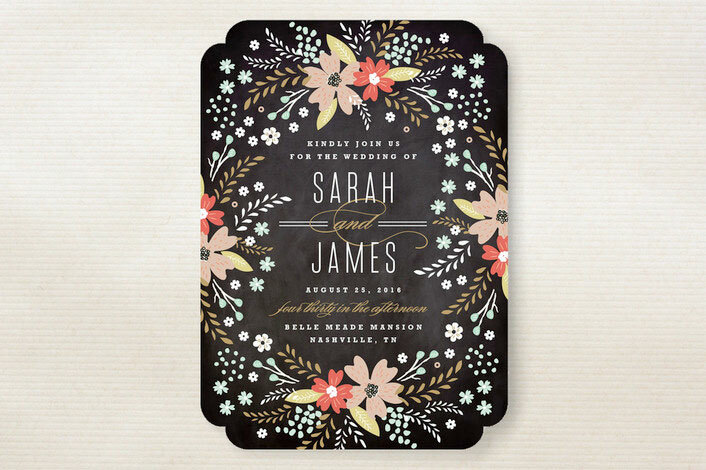 This Floral Chalkboard wedding invitation by Kristie Kern is appealing on many fronts. I love the contrast between the bright bold flowers against the chalkboard background. 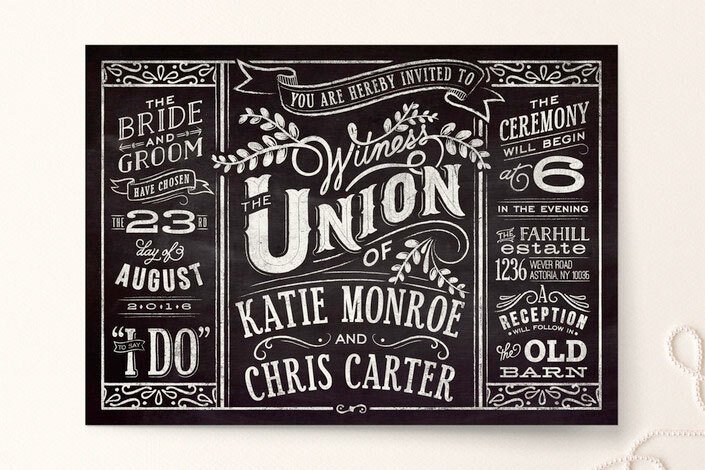 Speaking of chalkboards, is this Slated Forever wedding invitation by GeekInk Design on trend or what? If Geoff and I hadn't both been starving artists, we *may* have entertained the thought of being married in some exotic locale. 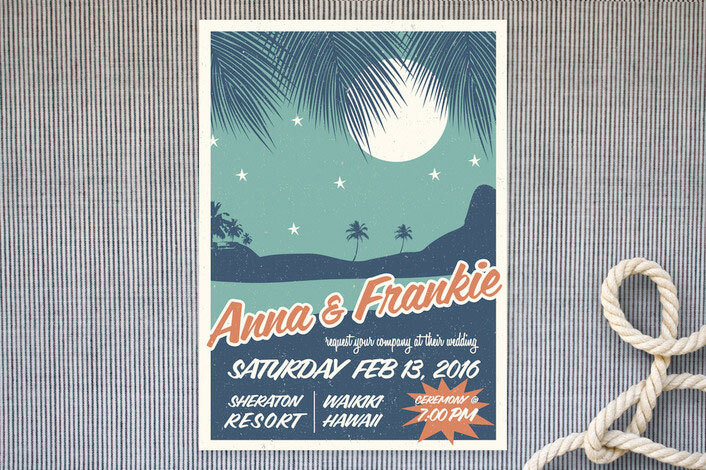 And if we did, I would have chosen these Retro Hawaii wedding invitations by Gakemi Art+Design. I can just hear the waves crashing against the shore. But ultimately, we're a pretty casual couple and so this Gettin' Hitched wedding invitation (another Hooray Creative design) would have fit right in with our personalities. Did I mention that all of these invitations come with different backer options, cool liners and labels, FREE recipient addressing and your choice of envelopes? Because they all do. And then there's the Minibook wedding invitations, like this one (hello Hooray Creative) which allows you to customize seven pages of text and photos. 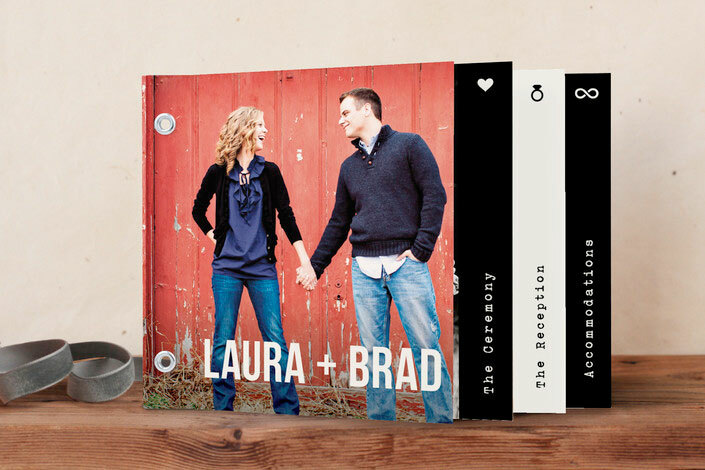 Customizable because the chances of you being a Laura and him being a Brad and the two of you looking like the two of them is pretty remote. But, how cool is that? 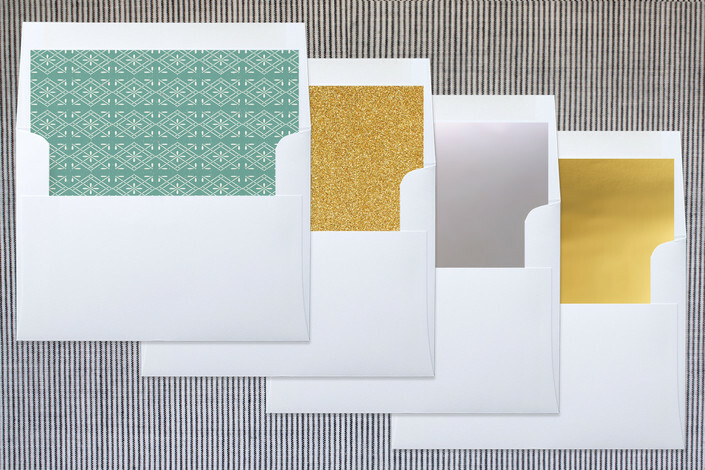 And, if you're not ready to "commit" just yet, Minted will give you the opportunity to test the waters with a Wedding Invitation Sample Pack where you can see and feel the luxurious papers and bold printing, for FREE. But only for a limited time - so get moving! 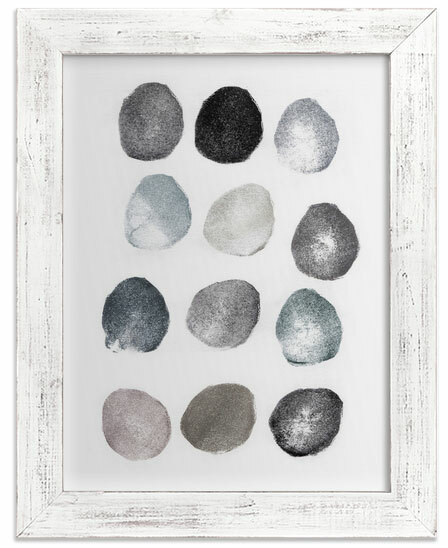 I love Minted – for several reasons, not the least of which is the fact that they work with independent creators. As an artist, I ADORE this. They believe that great design lives and thrives in the hands of independent artists who the general public wouldn’t normally have access to through traditional retailers. Minted is a place where artists can learn, gain exposure, and build their businesses. And, not only do the artists benefit, but consumers win too! You can search for what you want by color, theme, season and shape. You can even pick a custom color! And, if you need additional help, Minted's designers are there to assist you. Honestly. Getting hitched couldn't be easier. 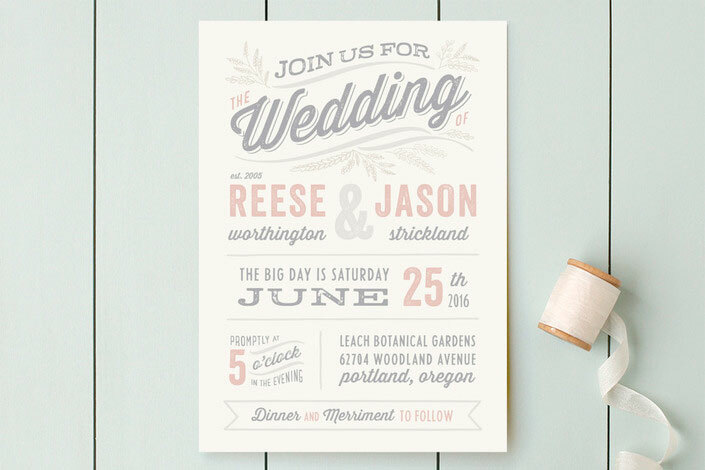 Also, if you - like me - want to have a small ceremony and let people know about it after the fact, you can do that too, with the help of Minted's Wedding Announcements, like this one by Cadence Paige Design. And then there's the Art Marketplace where you can find beautiful works of art on paper (which you can purchase framed or unframed) for every room in your home - including the kids' room and the nursery. Here are a few of my current favorites. 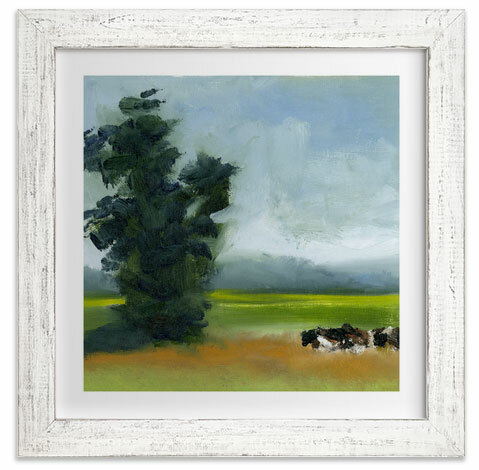 Grazing by Lindsay Megahed reminds me of the farms on the rural route where I grew up. 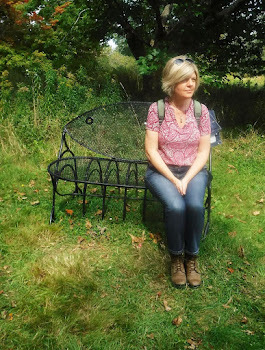 Rinse and Repeat by Susie Allen makes me think of shorelines peppered with pebbles. 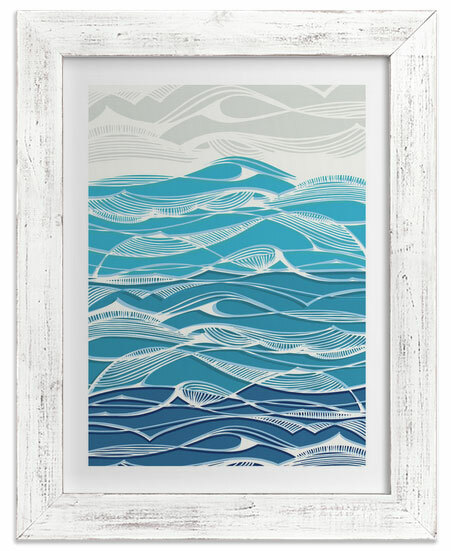 Tempestuous Seas by Gill Eggleston Design is lovely because... the OCEAN. Really, you could spend hours - days even - browsing through the amazing stationary, art and home decor (and more) on Minted and the best part is, if you spot something you like, chances are you can afford it! Also, by purchasing an invitation or work of art from Minted, you will be supporting independent artists from around the world. And that (unlike my rushed nuptials) is a classy thing. 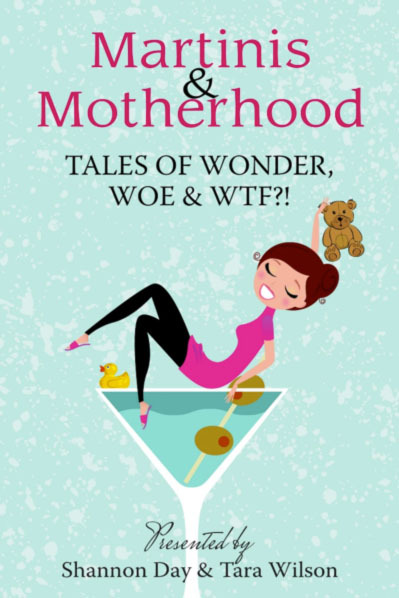 I was asked by Minted to check out their products and write an honest review. 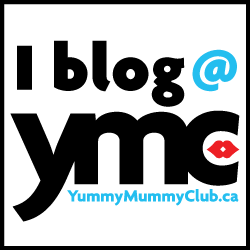 In exchange, I was given a gift certificate towards Minted's products. All opinions are completely my own.